The Spiruline, has been LitleCloud’s flagship wing for the past 2 years, and continues to be a great success. 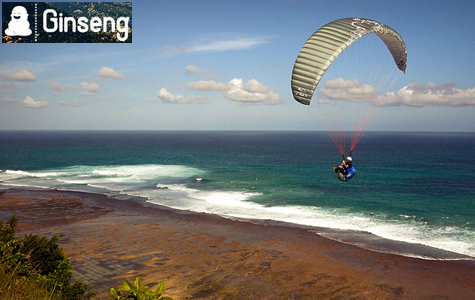 It is surprisingly versatile, suitable for mountain flights, thermic conditions, soaring, speed flying and also learning to fly. The Spiruline has a low aspect ratio, minimal pitch, no parasitic roll, and a strong resistance to collapse. These features make the Spiruline an very accessible wing (for beginners, small builds, pilots seeking confidence, and both occasional and confirmed pilots), relative to the chosen size. Accessibility, simplicity, handling and flying pleasure remain our priorities. Available in 3 sizes: 14, 16 and 18m2. A new mini wing from LittleCloud, aimed at competent pilots who’ve spent a year or so flying the Spiruline. Once again, we discover a versatile, precise mini wing with great handling. It performs slightly better than the Spiruline, and is surprisingly efficient at thermalling, giving potential for small XC flights. The Ginseng is available in 3 sizes (small, medium & large). The small size is aimed at speed flying for experienced pilots. 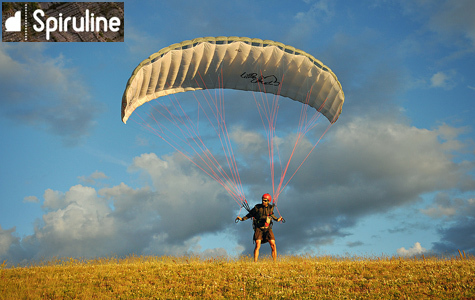 The larger sizes are suitable for experienced pilots seeking a variety of uses; mountain flying, soaring, small XC flights, competition, hike & fly.